2015 was a productive year. 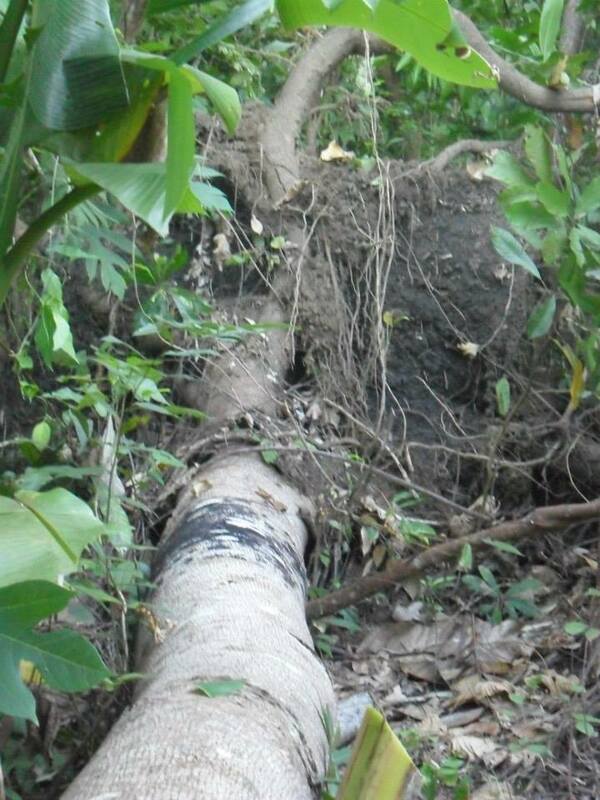 We reforested denuded lands with teak trees that are now growing robustly. 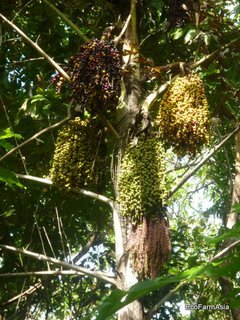 Thousands have started to flower and they will provide us with our own sustainable supply of teak seeds starting in 2014. Three formerly over logged and under utilized lands were transformed into productive plantations punctuated by rice paddies, coconut trees, coffee shrubs and 2 mature forests. We now have a massive woodland linked by corridors of teak and coffee plantations. We also survived the exceptionally strong typhoon Haiyan and other typhoons during the year. A single tree fell, otherwise nothing was damage. We attribute this to a number of factors : 1) relatively weak winds that hit our areas in Western Visayas, 2) presence of woodlands and hills that served as wind breakers protecting our trees and 3) good selection and positioning of sites away from wind paths. We are extremely happy with our achievement in 2015 and preparations for our 2016 planting season have already started. More than 3,000 teak seedlings are now ready with thousands more being prepared. 2016 will be a combined teak and coffee planting. We delight in passing under the canopies of our teak forest. We are warmth by the knowledge that they protect the land and that they will bring us good fortune in 10 years. 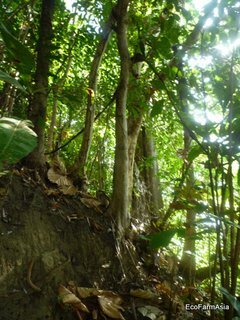 We planted hundreds of coffee seedlings between teak trees. They are now growing well and are over 3 feet in height. Our aim is to produce shade grown organic coffee and increase income per hectare from our land. We also would like to use multicropping as a biological strategy against pests and diseases. 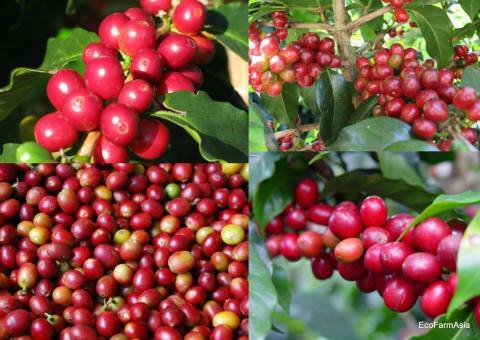 Coffee's is a profitable crop and in great demand globally. Due to limited supply and expensive cost of seedlings, we are establishing our own coffee nursery for our needs and for selling to other others. Next year, we will be planting more of the black stuff. In November a category 5 cyclone, Haiyan (local name Yolanda) devastated the Philippines causing thousands of death , injuries, displaced millions, destroyed homes and caused billions of dollars of damage to infrastructure and agricultural land. 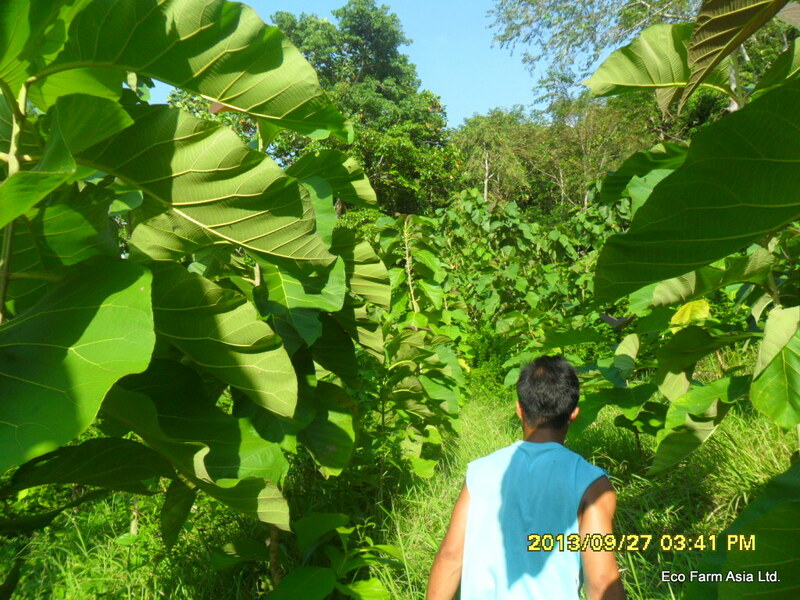 The typhoon also hit Western Visayans where we have plantations. A single tree feel and our farms were untouched affirming the value of site assessment and selection.